Of course, it’s nowhere near as simple as that as many exponents will tell you. 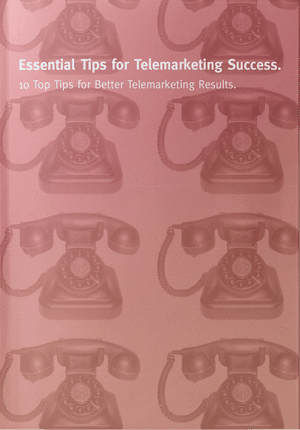 There is much science behind successful telemarketing. 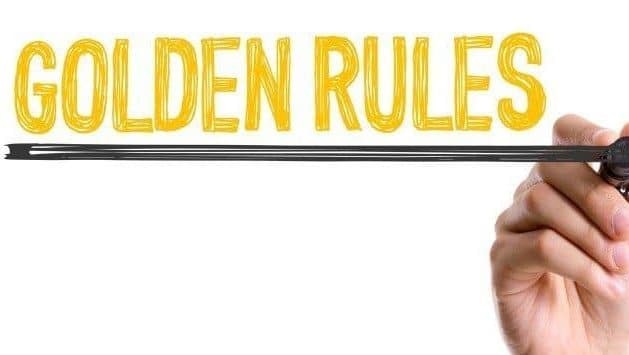 Whilst this is not everything you need to know about telemarketing, we have come up with 4 golden rules of telemarketing to help you achieve more success. Telemarketing is a simple discipline. Make some calls. Speak to people. Promote your products and services. And, you’ll deliver some results. If you call the wrong people, your chances of success drop. Now, that is simple. But, often, telemarketers call targets where the contact data is wrong (wrong numbers, contacts etc). They call companies that are likely to be in long-term contracts meaning that if they want quick results, that’s unlikely to happen. They call the wrong decision makers since they don’t have the name for the right person. As a consequence, they get blocked. Tip: spend a disproportionate amount of time getting your data right before you start your calling campaign. Every decision maker is different, what floats one boat doesn’t float another. Even the same job function in different companies is likely to have different drivers and issues. It’s definitely the case that an operations director will have different issues to the finance director and likewise for the M.D. Tip: spend time considering the different buyer persona for your products and services and focus your message as much as possible to their likely needs. Now, this sounds simple. But, so often, it’s a major failing of telemarketers that become distracted by other tasks. Sometimes, it’s because they just don’t like calling. For others, they are pulled away by other business priorities. Of course, this doesn’t mean you should call anyone and everyone. Segmentation, prioritisation and profiling are all important. Tip. Aim for circa 100 calls per 7 hour day dependent upon the number of conversations you have. All too often, companies undertaking b2b telemarketing think that telemarketers can either ‘wing it’ or work with an ill-conceived and stilted script. Certainly, at higher value and higher level sales, scripts will fail. And, making an important call on the fly is doomed to failure. Good preparation and rapport skills are paramount. Tip: Work on a good intro, ask good questions, listen to the answers and build a conversation, not a presentation. There are so many more facets to an effective telemarketing call. For more tips and skills, check out our blog where you can find articles, videos, podcasts and infographics to help increase your telemarketing success. Telemarketing results don’t come by chance. Typically, effective telemarketers work on their technique. They build targeted calling lists. They understand the challenges that their customers have and how they can help alleviate them. And, they’re persistent. They make enough intelligent calls to build their sales pipeline and they don’t give up at the first roadblock. Telemarketing is an ART.It is not that simple for sure.Every telemarketing company should follow your 4 golden rules.